I tried to convince my parents to start an asparagus bed in their backyard garden. No luck. They have quite a bit going on in their lives, without having to worry about a new project. And of course, we don’t really have too much space besides the small plots my dad has worked in all corners of the yard, leaving the monstrous azalea bushes to fill much of the rest of the space. 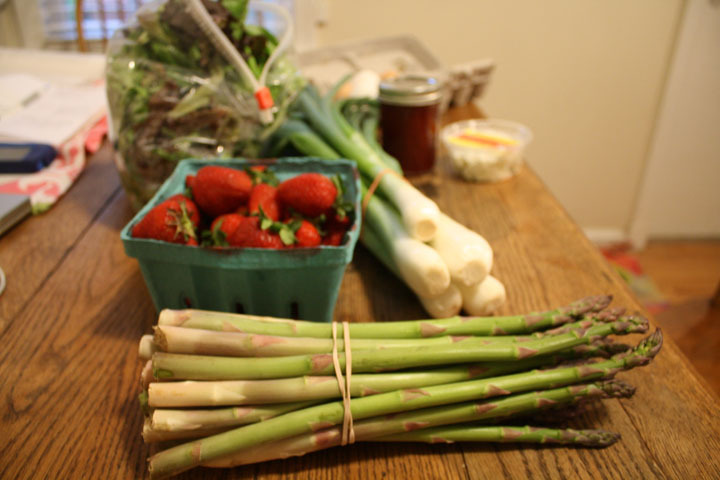 Until I can convince my parents that everyone needs a backyard asparagus patch (or I have a yard of my own), I’ll have to be content with getting it from local farmers at the market. It’s a little pricey, at about $4 a bunch, but it’s also something that you can get locally for only a few short weeks. 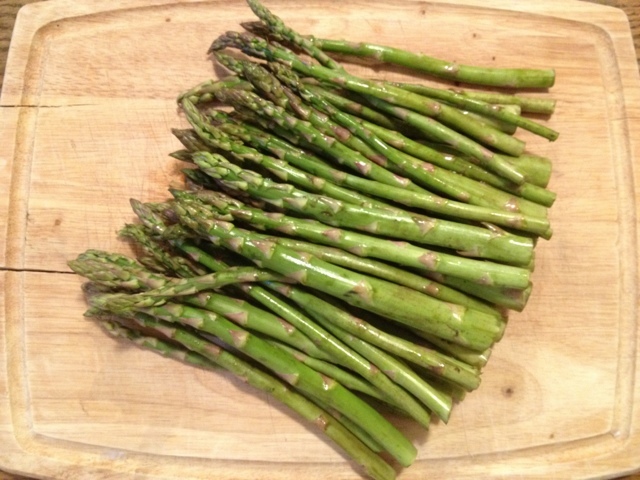 (A big plus: Asparagus is packed with tons of vitamins and nutrients.) And one bunch can provide many servings for just me. It’s been around for just about a month now, so I’m wondering how much longer we can get it for. I’ve picked up a bunch every week that I’ve been in town. And I still haven’t gotten sick of it. Maybe I need to get some extra this week to get all my asparagus cravings out of my system before its season ends. I’m considering trying to pickle some, so that I can extend its season slightly, though as my mom reminded me: I don’t actually like pickled things. But if I’ve learned to like radishes, maybe picked vegetables are next? So, what have I done with all this asparagus? Here are some recipes, both easy and slightly more involved. You really don’t have to do much to asparagus, and it’s best left as simple as possible. Grill it. Cover the asparagus with a little oil, fresh cracked pepper and kosher salt, and throw them on the grill for just a few minutes. Roast it. 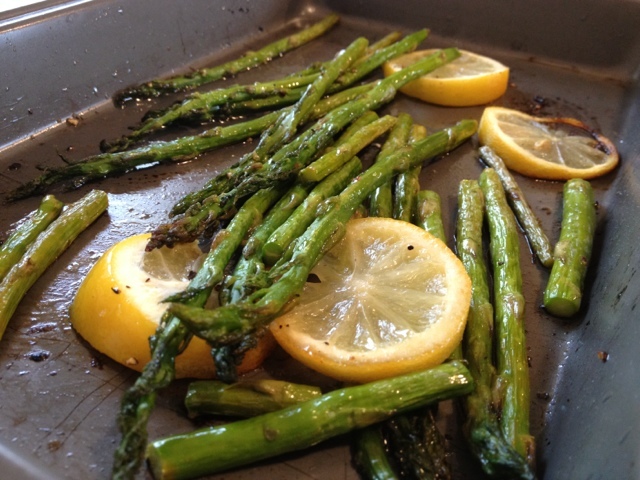 Just like prepping asparagus for the grill, use oil, pepper and salt, put the spears in a pan in a hot oven (somewhere between 350-450, though if we set our oven higher than 400 degrees, the smoke alarm goes off every time you open the oven door!). Roast them for 4-5 minutes, or so, until still bright green, with a bit of a brown sear, and still a bite to them. 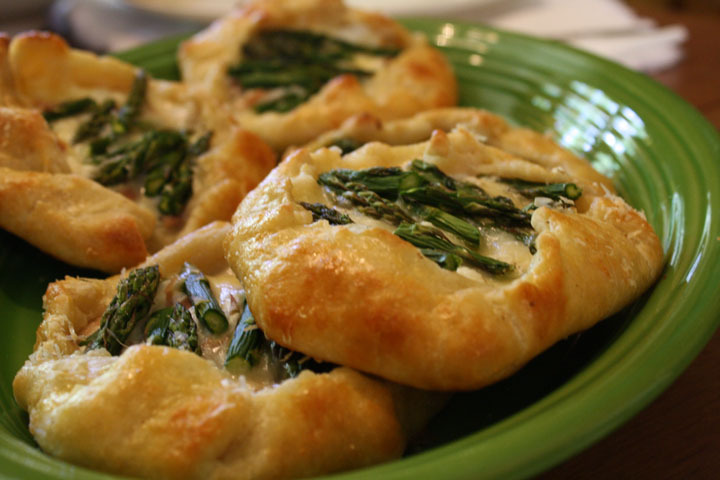 You don’t want your asparagus to get mushy. When roasting, add some lemon, whole cloves of garlic, grated Parmesan or homemade dressing, if you’d like. Make gallettes. I made them for Easter brunch. I used a beautiful recipe from “Baking with Julia” for the gallette dough, then filled the individual rustic pies with ricotta, fontina, prosciutto and asparagus tips. Yum. 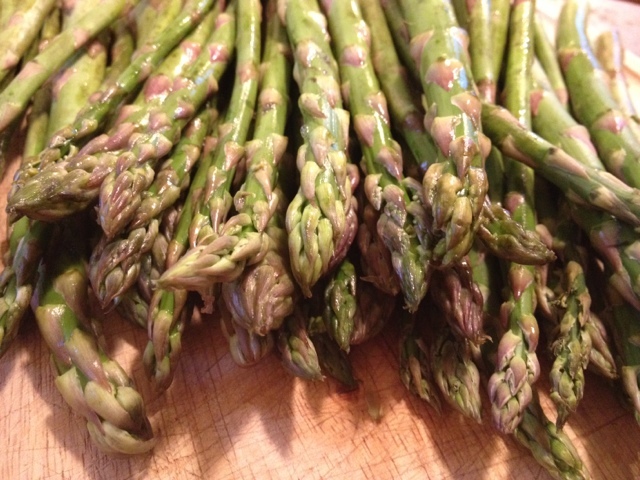 How do you like to cook your asparagus? I’d love to hear about your favorite recipes for this spring vegetable! I don’t love asparagus. 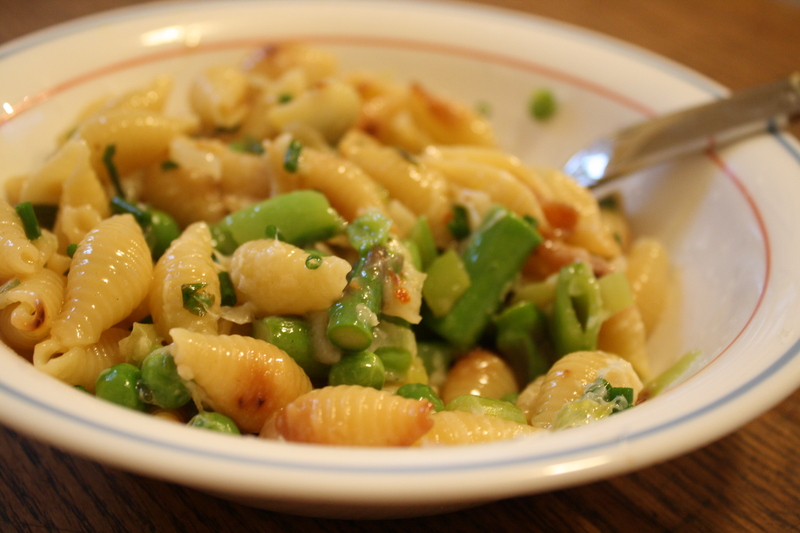 I wish I did because it’s SO good for you and like the best side dish ever…. it seems to want to go with everything. 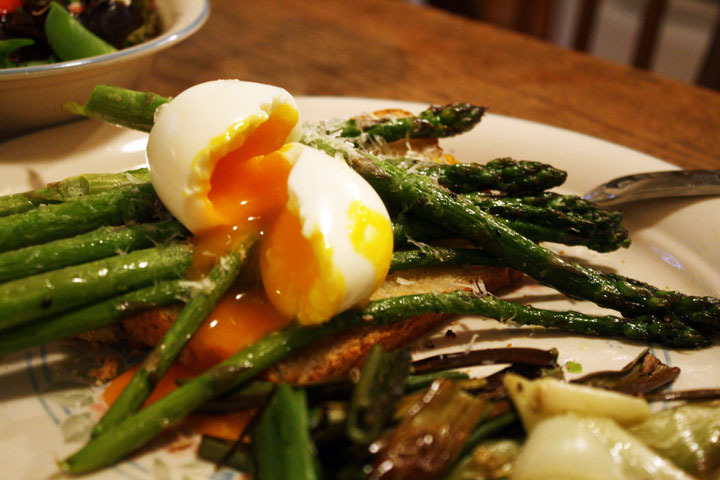 But your roasted asparagus and the asparagus with the egg on top look SO good. Maybe I’ll give it a try when I’m back in the cooking routine! PPS- The leftover Irelanders are getting together for drinks & apps tomorrow. Wish you were here! Aw, I so wish I could be there with you all! Maybe this summer we can do something? ?